The Joaquin Miller Elementary School PTA hosted a Multicultural Family Festival on Friday evening, October 19, at the school’s Copeland Courtyard. Approximately 300 people attended the event, many bringing dishes to share for a school-wide potluck. 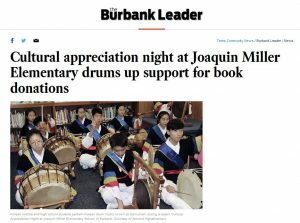 “With over 20 languages spoken in addition to English [in the school population], the audience was treated to a diverse multicultural program that included homemade ethnic foods donated by our families and local businesses and musical and dance performances,” said Principal Judy Hession. 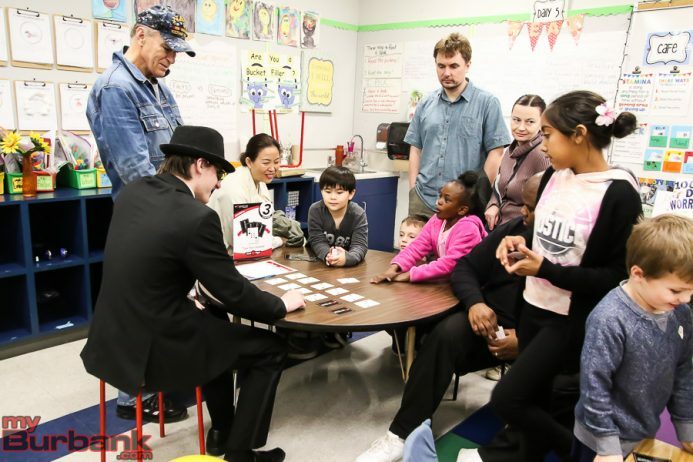 Joaquin Miller Elementary School students presented two different performing arts activities for their families and school community on Tuesday evening, May 15. Jennifer Griffith’s first grade class wrote original fairy tales and then performed them on a stage in the Copeland Courtyard at the school. The stage was donated to the school by Burbank High School for use as an outdoor stage. The first-graders also planned and painted the backdrops used in the performance. Joaquin Miller Elementary is awarded the 2016 California Gold Ribbon Award! 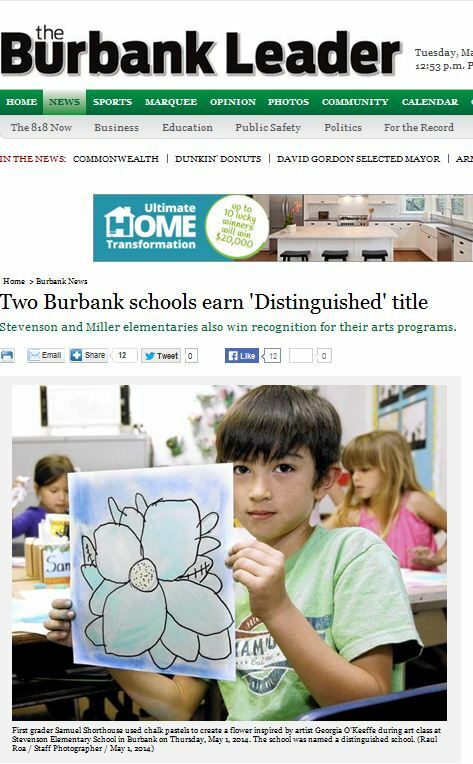 Congratulations, Principal Hession, Teachers, Staff, Volunteers and Students! 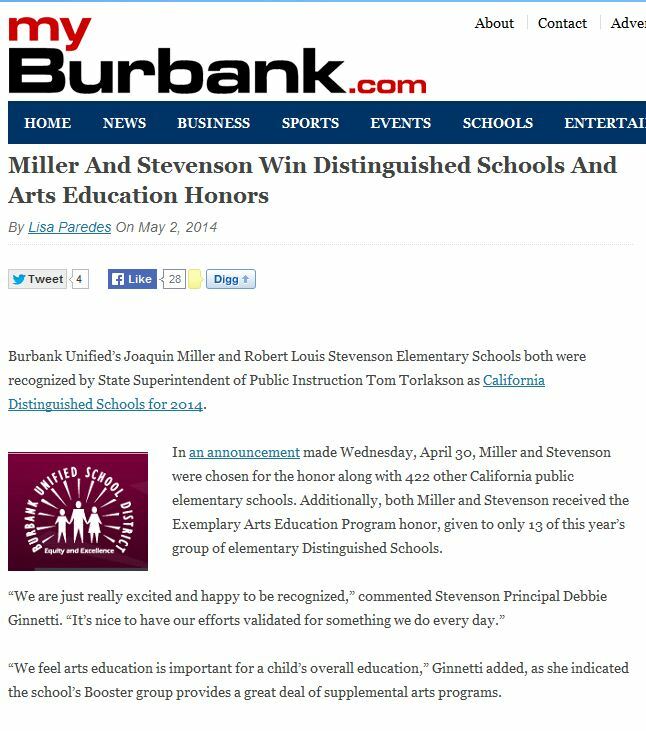 Joaquin Miller Elementary is awarded the 2014 California Distinguished School Award AND is also given an award for being an Exemplary School of the Arts! Congratulations, Principal Hession, Teachers, Staff, Volunteers, and Students!